Have you heard of Dog DNA tests? I’ve always been vaguely aware of their existence but never really given them any thought. 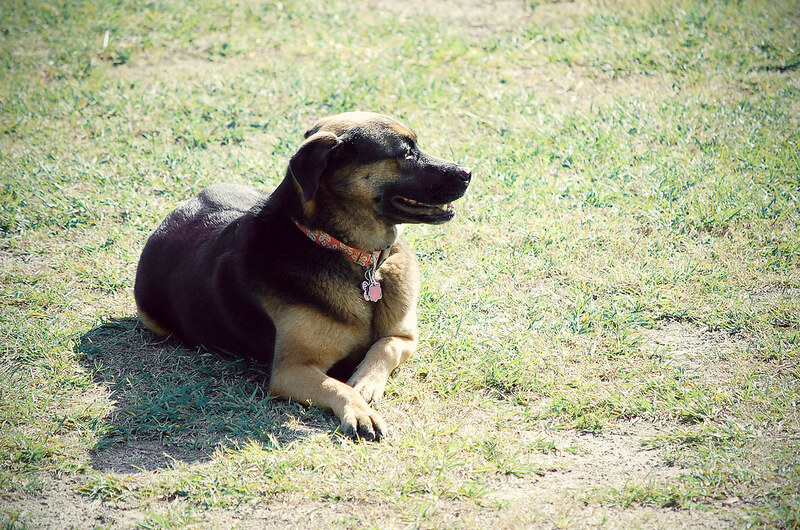 I tend to rotate between four breeds when people ask me what Bella “is.” When I first rescued her, I was told she was a German Shepherd/Black Lab combo. I was also told she was 4 months old when I really think she was closer to 6 or 7 months old, but that is mostly irrelevant. 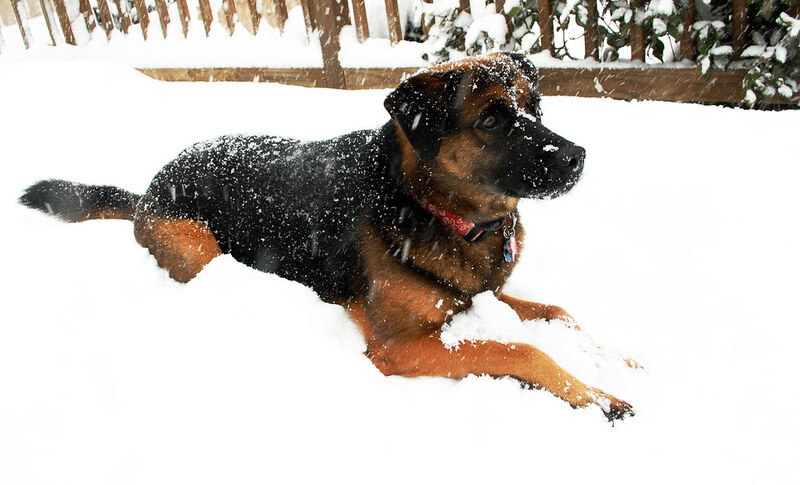 It’s just that because she was so large for what I thought was a young age, I believed the original breed diagnosis. Bella weighs in at a whopping 60 lbs after a lazy weekend and hearty Monday morning breakfast. Animal Planet tells me the female German Shepherd Dog weighs between 75 and 95 pounds (85 on average), and the female black lab weighs between 55 and 70 pounds, so let’s say 63 lbs on average. Her paws were large, but not huge. Her coloring was definitely reminiscent of a Shepherd or Lab, but her snout, ears, and tail left me unconvinced. And based on the average weight of those breeds, I would expect Bella to weigh somewhere in the mid 70s when she was full grown, unless she’d gotten the bad end of both genetic pools. See how her tail is curly? She also has a spotted tongue, which sort of points in the Chow direction. But a little research tells us that spotted tongues don’t necessarily mean Chow heritage. Blue marks on a tongue are sort of like birth marks or freckles on humans, a quick google image search shows many pups with this trait, and here’s a list of breeds more inclined to get them. After Mike and I started dating, the topic of her breeding came up. Actually, it comes up often because I am so curious to know. Because of Mike’s exposure to the working dog circuit, he thinks Bella might have some Belgian Malinois in her. Malinois are on that list of dogs who are more likely to have spotted tongues. So it remains a mystery and every now and then I am tempted to swab her cheeks and send her DNA off to get tested. 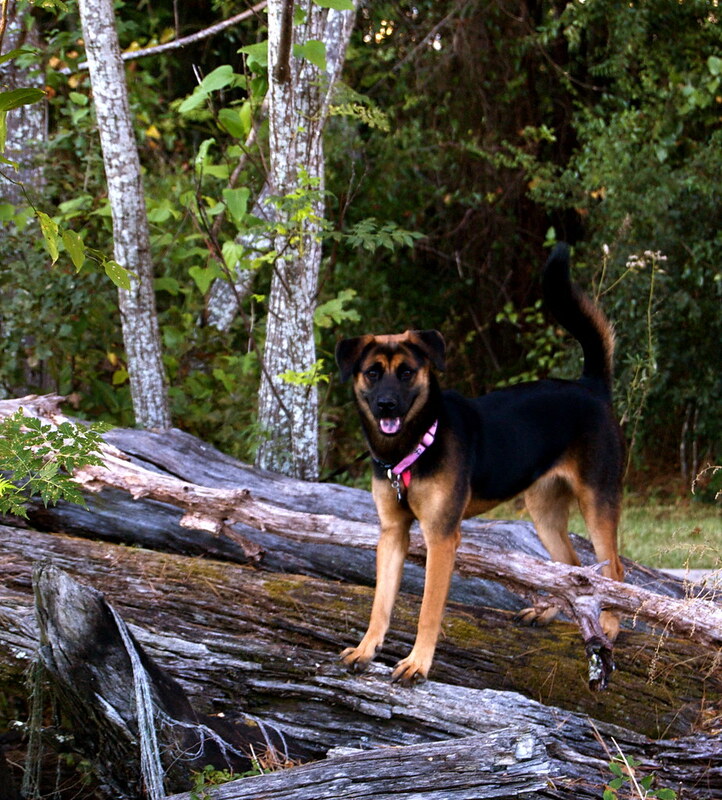 But for now, when people ask I tell them she’s a Malinois/Chow mix. 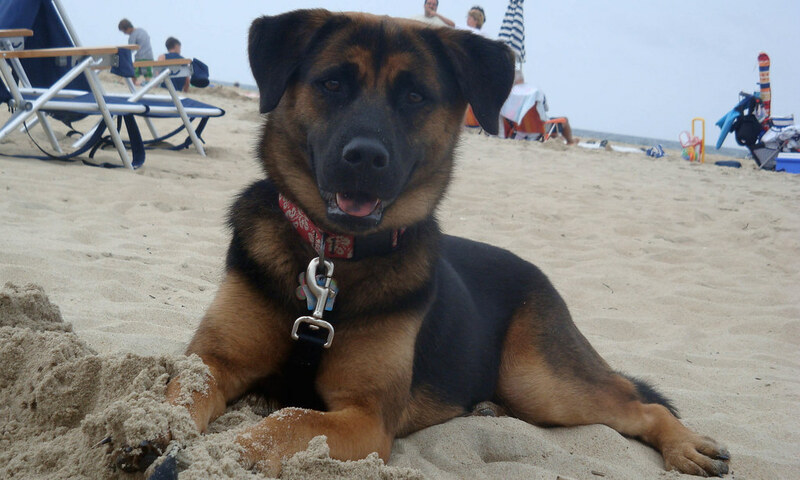 Or a Shepherd/Lab mix. Or a Malinois/Lab mix. It depends on the day. 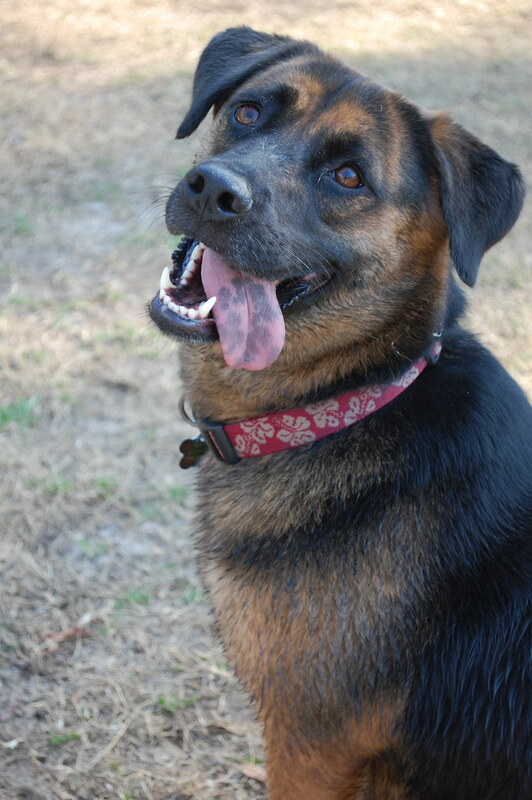 Whatever the combination, Bella is a great, intelligent dog with a goofy, awkward, happy personality. She definitely doesn’t let her breed ambiguity dampen her spirits. Maybe I should let it go?